So here’s something refreshing: a salon that’s located in a nice neighbourhood, where the staff welcomes you with a drink and you’re not scared of putting your bag on the counter for fear of the dirty untidy workspace. Oh and it caters to natural hair. YASSSSS. I recently ranted about the sad state of affairs that is black hair salons and why I don’t often go to them. For years, many of you have asked me to recommend some but I’d always back off as my list would fall short. I honestly can only recommend two. And Noir Hair Studio is one of them. 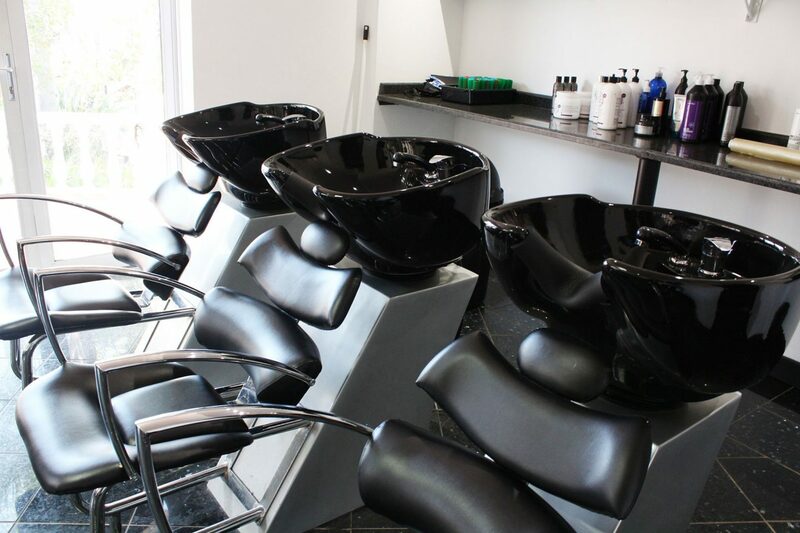 Noir Hair Studio is a full-service professional salon in Bryanston and the baby of Isabel Ngulube. Some of you may recognise her name and face as she’s also the influencer behind Mzansi Fro. What you may not have known is that she’s a professionally trained stylist as well. Isabel’s passion for healthy hair led her to offer her skills to other women by opening up her own studio. Including herself, Noir Hair has three trained stylists who offer a range of services in treatments, styling, cutting and colour. 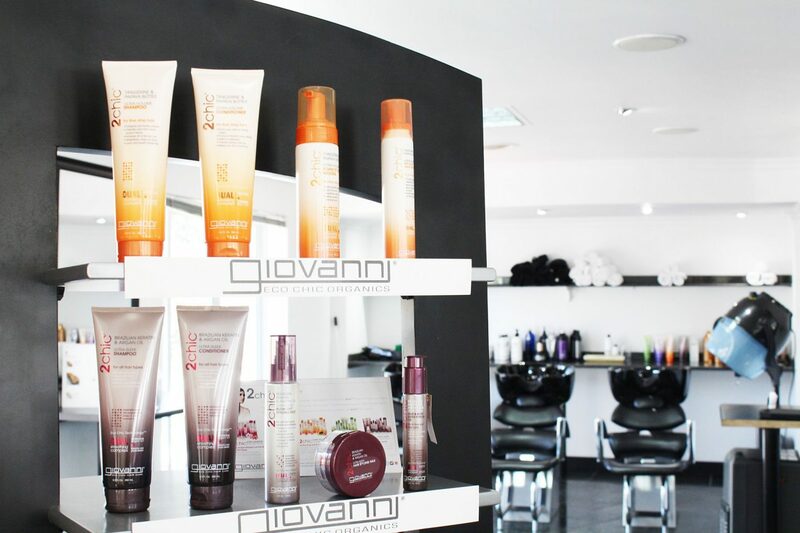 They only use professional products which include Design Essentials, Mizani, L’Oreal Matrix and they also retail Giovanni. I visited the salon earlier in the year, and was given a hair treatment and touch up on my tapered cut. It was such a refreshing experience, because…well, you know. 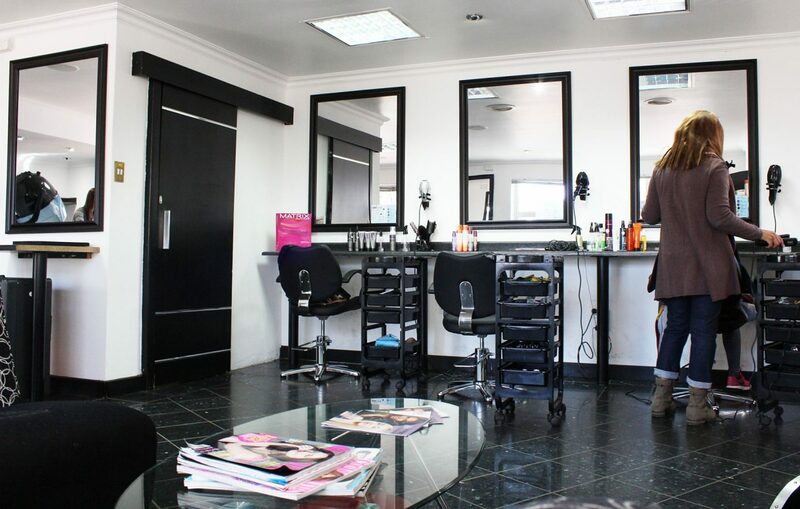 This salon is clean, looked after, airy, and has a beautiful ladies’ room (yes, that matters!) 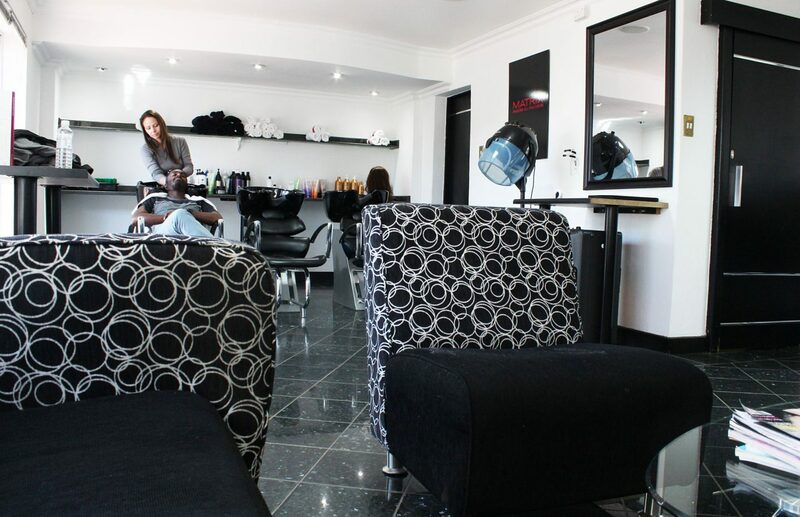 Every 10th – 19th of the month, the salon offers R150 discount on all treatments. And they can also hook you up with your preferred protective style. I love that in everything they do, the health of your hair is put first. They begin their relationship with you by having a hair consultation and assessing the state of your hair before giving any service. I haven’t experienced this in another salon. They also don’t use heat, colour or give chemical services on already damaged hair. They do cater to relaxed haired women too, so it’s not an all natural salon. But it’s extra comforting knowing that the owner and head stylist is a natural herself. So you’re in good hands. As you know, I’ve been through the big chop a couple of times. The first time can be very daunting, especially if you don’t know what will come next. 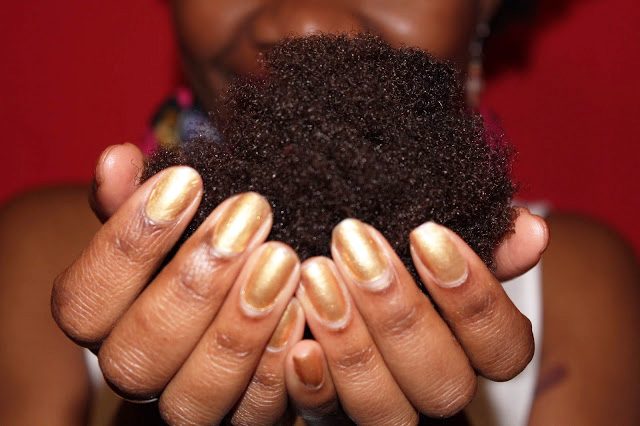 Many women go natural, but get discouraged by the upkeep of it, not because they don’t want to but because they don’t know what to do or what products to use. So, let us hold your hand! If you’ve been thinking about going natural and are nervous or already are and now, want to start your healthy hair journey, then this is the jump you’re waiting for. 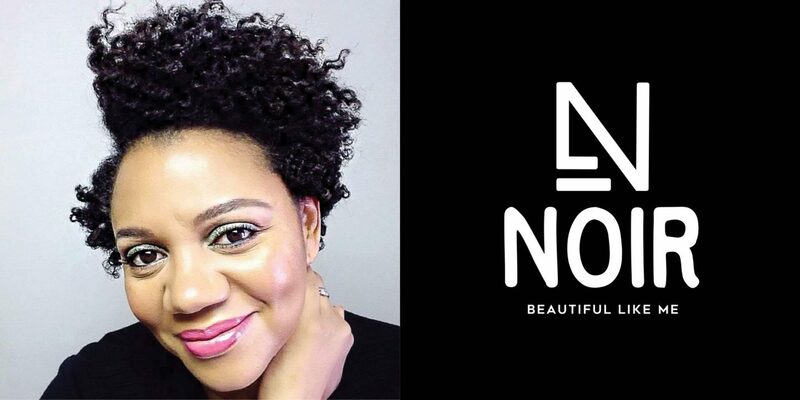 A big chop pamper session with me and Noir Hair Studio, including a hair consultation, a deep treatment and a newbie natural starter kit all worth over R1000. In the comments below, tell me your reason to big chop. The big chop will be documented and shared across Aisha & Life platforms. By entering, you agree to participate in the documentation and waive usage fees. The winner will be contacted via e-mail so please be available to supply full contact details, if selected. If the winner does not respond to the email within 48 hours of contact, another winner will be chosen. Previous Post My Top 5 Hair Fails! Talk about timing! So I’ve had natural hair most of my life and cannot remember a time when I (or my mother) did not struggle with it! She’s always preffered that I keep it relaxed because it seemed easier to maintain but I’d fight her on it as the experience of relaxing my hair was never pleasant and my hair never seemed to flourish when it was processed. I’ve tried to stay natural in my adult life but end up keeping my hair plated as it never seems to work with me! The plating is always at a salon (as I’ve never learnt to do it myself) and they always put my through a blow dryer in order to soften it for the plating. 2 years ago I relaxed my hair for my wedding in order to get more ‘stylish’ options for styling and continued to relax my hair for about a year and a bit after that to keep it manageable. I eventually stopped though as I missed the fullness I get with my afro and have been transitioning for almost a year now. I’ve been nervous about the big chop as I like the convenience I get with length but feel it’s time now as the relaxed her looks terrible and reminds me of a wet cat when I compare it to the new growth that’s coming through.